The news came out on Monday that we all knew was coming one of these years, but didn’t necessarily expect this winter. Joe Mauer is no longer a catcher. It’s a sad day, and not just for Twins’ fans but for fans all over the game who like seeing greatness. Mauer is still a great hitter, but what made him a once-in-a-generation player was his ability to be such a great of a hitter while undergoing the rigors of catching every day. Unfortunately, those rigors simply got too great. We know significantly more about the damage and dangers of concussions than we did even at the start of Mauer’s career just a decade ago. We know the lasting effects and the long-term dangers of having second and third incidents. We know that if the Twins want to get anything out of the remainder of their massive investment in Mauer, they need to get him out from behind the plate. This was a shift that had been taking effect gradually over the past few years, as Mauer spent more and more time at first base and as the DH. Now the move is permanent. Which got me thinking about prospects, of course. Which young catchers should be moved out from being the plate, and when? Should any of them? How do we decide? Joe Mauer spent 10 years behind the plate for the Twins, but even if he had never strapped on the catcher’s gear in the major leagues, he’d still be on track for a plaque in Cooperstown. Clearly the Twins were right to maximize his value for as long as they could, just as they’re right to get him out of harm’s way while he can still contribute. Other catchers have more of their value residing in their defensive abilities and thus need to stay behind the plate to be worth playing. Austin Hedges, for example, is one of the best all-around prospects in the game and probably the best catching prospect in baseball. His defense, however, far outweighs his offensive capabilities. He’s not a bad hitter, but he would be a below-average hitter at any corner position. Hedges is the best defensive catching prospect in baseball and will be among the best in the majors the minute he sets foot in a major league park. The Padres will never move him out from behind the plate. The dangers are still just as present for Hedges as they have been for Mauer, but too much of Hedges’ value resides in his glove. He will have to remain subject to the rigors of catching for his whole career. Such is the unfair business of baseball and the reason why catchers’ careers are below-average in length. To counteract that, young catchers are changing positions earlier and earlier. The San Francisco Giants appear to have Buster Posey on the accelerated Mauer Plan, having been working him in at first base since his rookie year. He will make the full-time switch at some point, but will continue to catch for the time being. Many have asked why he hasn’t been moved permanently, especially after his gruesome injury in 2011, but the answer is simple—he’s a really good defensive catcher. Posey may be known for his offense, but he’s been a plus defender in all four of his major league seasons, according to FanGraphs. Posey has enough offensive value to still be an asset, even at first base, but as long as he’s still capable of playing behind the plate and putting up strong offensive numbers, the Giants are going to let him do it, at least part-time. The key to the decision, especially with young players, is to assess where the player’s value will come from. What other position can the player play? 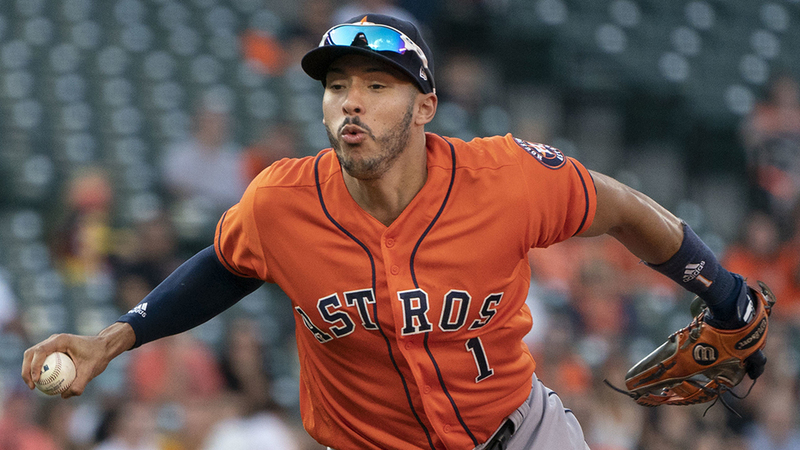 With the offensive threshold being much higher at first base than it is anywhere else, it’s important to determine whether the player will still have value offensively at his new position. Joe Mauer and Buster Posey are destined to play first base, and fortunately their bats are strong enough to pull it off. The same can’t be said of Hedges. Josh Donaldson could have pulled it off this season, but he has a heck of a lot more value at third base, where he’s turned out to be a pretty good defender. Craig Biggio was athletic enough to play second base at a high level for a decade, so his offensive numbers made him a Hall of famer. Had he been stuck at first base, it wouldn’t be quite as certain (yes, I’m considering Biggio in the Hall of Fame. He’ll get there soon). The other factor is how good the player’s defense is behind the plate. It’s a lot easier for the Indians to work Carlos Santana in at first base than it is for the Giants to move Posey because Santana’s defense isn’t as strong. With a player like Hedges, who is in the Yadier Molina mold of catchers defensively (yes, that’s high praise, but he’s earned it), no matter how he hit he wouldn’t be changing positions. The Cardinals haven’t budged Molina, even as his bat has caught up to his glove, because his defense is still his most valuable asset and the combination makes him an MVP candidate. The Cardinals have decided that they’d rather have a few more years of an MVP-caliber Molina than try to extend his career at another position, and it’s hard to argue with their strategy. Mauer and Posey are good defenders, but they’re not in the Molina/Hedges class and they’re better offensive players, making the switch easier. There is no one answer, but rather a collection of variables that forces each organization to make a decision about the future of its young backstops. The bigger the disparity between bat and glove, the easier it is to move a player somewhere else on the field, but the bat has to be able warrant the move. Mauer has the rare bat that will play at any position on the field, but a permanent move to first base will still hurt his value each year. What it should do, however, is allow the Twins to have more valuable years from their franchise player. Do players ever move the other way, starting at 1B and moving to catcher when their offense is no longer 1B good, but still catcher good? It wasn’t from 1B to C, but Jorge Posada was signed as a @B and started his professional career at 2B and transferred to C in the minors. When you have a guy who hits .320 with a .400 OBP, and it’s not all singles, you should do what you can to make sure he remains a .320 hitter with a .400 OBP as long as possible. This is no different than back when the Twins realized that Rod Carew was a lot more valuable as a .350-hitting healthy first baseman than a frequently-injured .350-hitting second baseman. Especially when he hit .388 not long after they did it.